There are many businesses that require the use of specialized equipment to be able to perform their service, especially if they are in the construction industry. This equipment can consist of sophisticated machinery, or expensive tools. These things can be incredibly expensive. While it is a necessity for the success of the business to obtain these items, it may be difficult to be able to get enough cash to purchase said equipment. There are many options that business owners can explore when they find themselves in this predicament. There is construction equipment financing options that can be explored, as well as construction equipment leasing options. There are many benefits that can be gained if a business decides to engage in construction equipment leasing rather than construction equipment financing. Anytime a business gets its hands on any type of machinery, then that business is financing the cost. If the business pays cash for the equipment, they are financing the cost. Once that cash has been used, it cannot be used again. If the business that used the cash runs into financial problems in the future, then that resource is not available to be used to solve financial problems. Smart business owners do not put their cash in assets that will lose their value over time. Business owners that lease their expensive equipment can pay off that equipment while simultaneously earning money by using it. 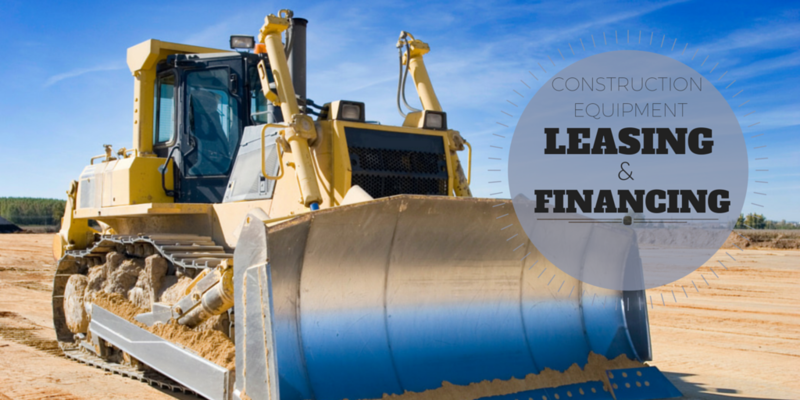 Businesses that lease construction equipment can have a long term repayment schedule with very low payments. These businesses are often able to avoid making any sort of down payment. If it is necessary, things like the cost of delivery and instillation can be added to the lease. Sales tax and agreements on maintenance costs can be added as well. This means that a business could start generating income through the use of construction equipment without making a single down payment. The income that is generated makes it possible for the business to make low monthly lease payments. If the construction leasing is not done through a bank, then it can free up the businesses’ credit line. Some people don’t realize that their business’s credit limit is limited by the amount of money they have received from the leasing department of the bank. Although commercial credit and leasing agreements are done by separate bank departments, the agreements are not often separate. Business owners that are good at utilizing their money will usually obtain several credit sources that aren’t related. Businesses that turn to leasing companies that aren’t run by banks instead of using construction equipment financing are more likely to come out ahead.